The Finnish gallery LOKAL were at CHART DESIGN at Den Frie. They showed several pieces by the company Nikari who have their workshops in the historic settlement of Fiskars to the west of Helsinki. 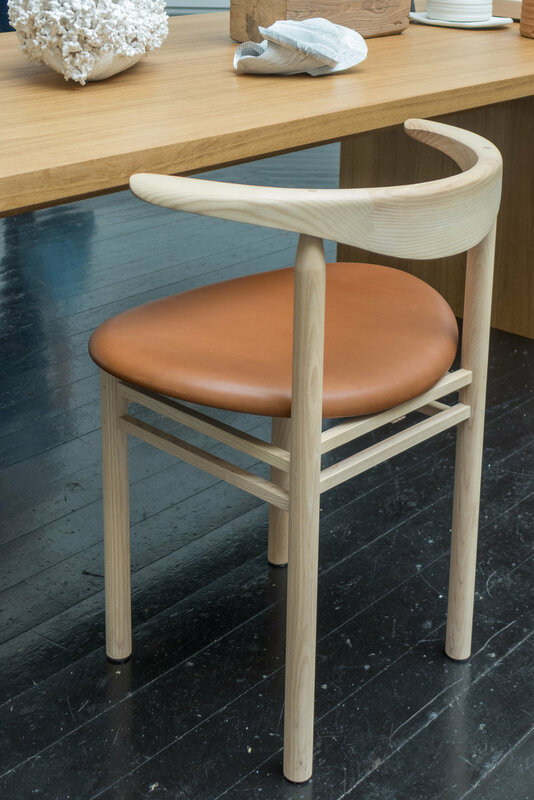 Edi Table by the Norwegian design studio Claesson Koivisto Rune was designed in 2015; the Café Skandi stool by Kari Virtanen is from the same year and from 2009 the Nikari Linea Chair is by the Swiss-born designer, carpenter and teacher Rudi Merz. 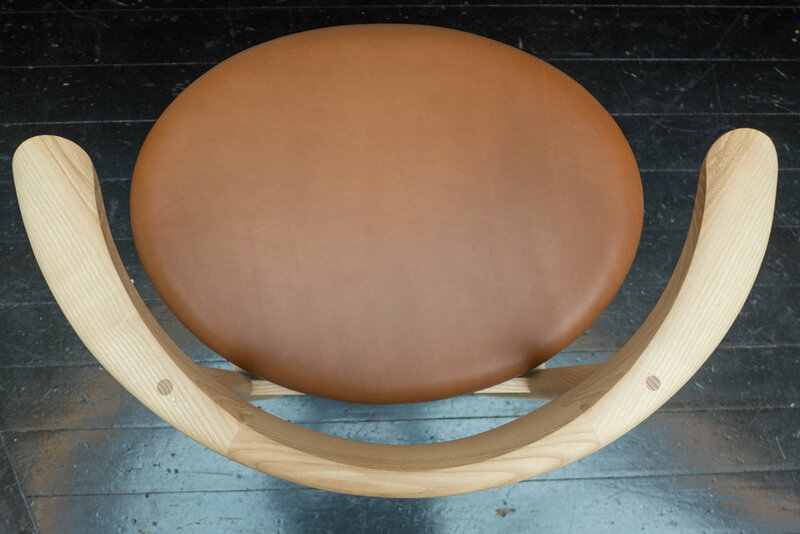 Nikari were established in the 1960s and have built up a reputation for making furniture of the very highest quality. They follow the well-established practice of cabinetmakers in Copenhagen in that they work closely in partnership with a number of the best designers on specific projects and these will certainly be the collectors’ pieces of the coming decades. However, furniture should be chosen because you really like it and it fits with what you want for your home … good furniture used everyday enhances our lives. If furniture holds its value or even appreciates then that is surely just a bonus? Looking at the Linea chair carefully you can see features and details of the techniques of the carpenter that are distinct from Danish designs and these differences are important … marketing furniture from the Nordic countries in a co-ordinated campaign, where possible, does make sense, but only if it does not erode the distinctions that give the different designers and the different companies their personalities and clearly discernible styles. To produce a generic ‘Nordic style’ could, in essence, be done by any designer anywhere but nurturing distinct national talent gives the ‘brand’ - if that is what you want - a stronger and a much more dynamic future.